If you are buying life insurance, the big question is: How much? Unfortunately, the answer is not always easy. There are many different methods of calculating how much life insurance you need — ranging from the simple to the complex. Asking around often contributes to the confusion. Your friendly neighborhood life insurance agent may provide you with an astonishing amount. Financial planners’ answers vary, often depending on how they are compensated (fee-based or commission) or on the software they use. Popular financial publications and columns may provide you with a different figure — sometimes out of whack with reality. Luckily, when it comes to calculating life insurance, simpler is often better. This article describes the basic concepts you need to know in determining how much life insurance to buy and explains how to make the best use of available online help. 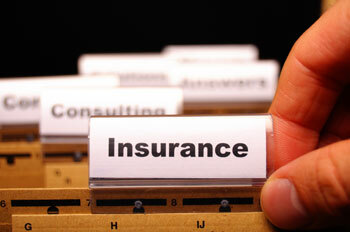 Most of the hundreds of life insurance calculation methods can be categorized into several broad categories. The best methods focus on what the actual needs of your survivors will be if you die. In this method, you estimate the amount of principal needed to generate the annual income that your survivors will need once you are gone. For example, if you determine that your survivors will need $70,000 per year, you might purchase life insurance in the amount of $1,000,000 ($1,000,000 would yield an annual income stream of $70,000 a year at a 7% interest rate). The key to this method is determining how much annual income your survivors will need. Get a pencil and paper and work through the following steps. Step One. Determine annual income needs. Determine the annual income your family would need if you were to die today. Consider any lifestyle changes that might happen after the death, and include current expenses, such as mortgage, rent, groceries, clothing, utility bills, entertainment, travel, transportation, and child care. Step Two. Subtract available income from annual income needs. Subtract any other income, such as employment income, dividends, interest income, and current or estimated social security benefits that would start when the insured dies. This will result in the annual income to be replaced. Step Three. Determine the principal needed to generate income to be replaced. Use the number you get in Step Two and use the following formula to determine how much principal is needed at a reasonable rate of return: (annual income to be replaced) ÷ (rate of return) = amount of principal needed. For example, if your rate of return is 7% and the annual income to be replaced is $70,000, then you would need to buy $1,000,000 worth of life insurance ($70,000 ÷ .07 = $1,000,000). Step Four. Add one-time expenses. Add up any one-time expense your survivors will have to pay, including funeral expenses (the average cost of an adult funeral is about $10,000), administrative expenses to wrap up the deceased person’s estate, costs of paying off outstanding debt (mortgage or credit card debt), and college costs. Add this number to the principal (the number you get in Step Three). Step Five. Subtract one-time gains. Add up any one-time income gains, such as proceeds from other life insurance policies, assets from selling a business, or other payouts. Subtract this number from the number you get in Step Four. This final number is the amount of life insurance you need to buy. With that, you will have a good idea for the amount of life insurance that you should have in place. A simpler method is to simply multiply your annual income by a set number (anywhere from 10 to 20, etc) to come up with an amount of life insurance to purchase. Although this method may be a good starting point, it is inexact at best. It doesn’t tell you what the actual needs of your survivors will be. In this method (commonly used in litigation), you ask the following: If you had been killed in a car accident last week, and someone else had been responsible for your death, how much money would your family sue the responsible party for? Although this approach is featured in a number of websites and online calculators, it is not typically used by professional advisors. The amount determined by this method will usually be significantly higher than the amount determined by other methods and is generally not in line with actual needs. One of the most common errors in calculating life insurance is assuming that your survivors’ future income needs will be the same as their current needs. For many families, this is not the case. For example, say you want your life insurance to provide for your minor children if you die. At some point, however, your children will no longer be dependent on you (or your income). At that point, you want your life insurance coverage to change accordingly. Purchase multiple policies. For starters, buy different policies with different fixed level premium periods. For example, if you need life insurance for your children for ten years but need it for 30 years for your spouse, buy a ten-year level premium policy to cover your children and buy a separate 30-year level premium policy to cover your spouse. If you are purchasing a large amount of life insurance, consider splitting the coverage across multiple carriers. Revisit your financial situation. Of course, you won’t be able to anticipate all of life’s changes at the time you first purchase life insurance. So revisit your financial situation periodically. If an unexpected change in your life necessitates more life insurance, then buy more. Likewise, if something happens that eliminates or reduces your need for life insurance, then cancel a policy or get another policy for less coverage. RUN QUOTES TO SEE WHAT IS AVAILABLE. USE THE CALCULATOR METHOD THAT MAKES THE MOST SENSE BASED ON YOUR FINANCIAL SITUATION.